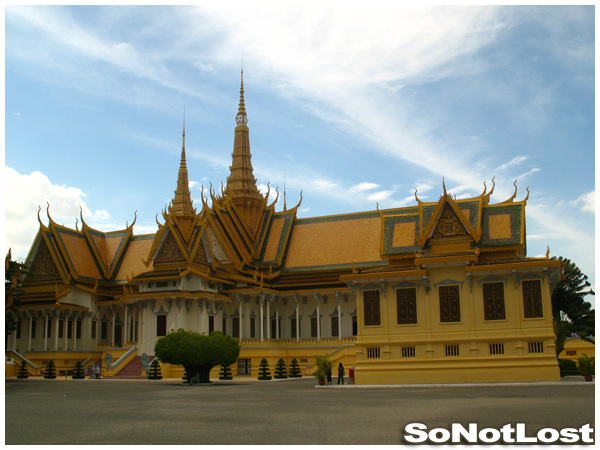 TravelTuesday Picture of the Week: Royal Palace, Phnom Penh (Cambodia) | So Not Lost! The Royal Palace in Phnom Penh, Cambodia began construction in 1866 after King Norodom moved the capital here from Oudong. Preah Barum Reachea Veang Chaktomuk (as it is called in Khmer) has served as the royal residence of the King of Cambodia since its completion. Thanks for sharing this nice picture of the palace. Cambodia and Thailand is my upcoming target hopefully next year. Aside from Angkor Wat, I know now where else to go in Cambodia.